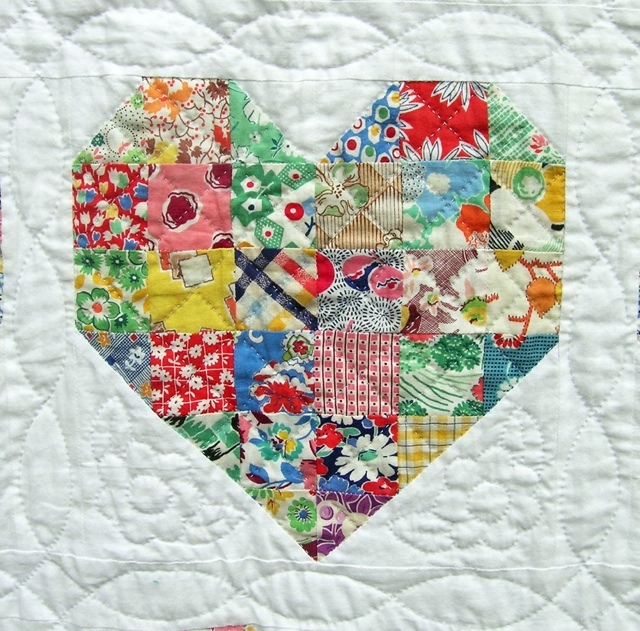 I saw this adorable quilted heart on Pinterest the other day. 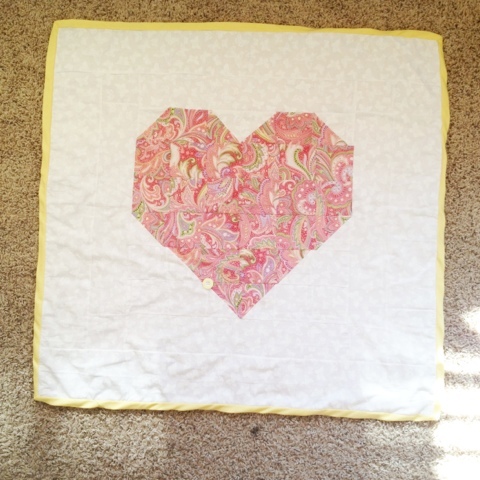 Now I'm not a quilter and I've only done one other quilt but I decided to give it a try. 25 solid squares and 10 half-square blocks. I need some more practice but I'm happy with the result. Unfortunately my sewing machine broke in the middle of binding it so I had to hand sew it- I've since found some better tutorials on binding :).